35 years is a long time. And as hyper-evolving and tumultuous as the music industry is, that’s the equivalent to an eon or at the very least an era of mountain-building. That’s the length of time it’s been since Heavy Metal pioneers Black Sabbath have released a record with original front man/madman Ozzy Osbourne. After 1978’s Never Say Die! amidst a swirling storm of drugs and booze, the well had run dry and the light had dimmed. It proved to be too dark even for the band that thrived on the blackest, bleakest fathoms and it was the closing of the first chapter of Black Sabbath. Guitarist Tony Iommi decided to fire Osbourne (Actually leaving drummer Bill Ward to take out the garbage and break the news to Ozzy) and continue on under the Sabbath banner without him. The two divergent roads out of the wilderness saw Ozzy enjoy a successful solo career while Iommi, Ward and bassist Geezer Butler recruited Ronnie James Dio (Rainbow, Dio) and had a Sabbath resurgence with stellar albums Heaven and Hell and Mob Rules. There were more highs and lows for both parties, but nothing could match the run of classic albums Black Sabbath, Paranoid, Master Of Reality, Vol. 4, Sabbath Bloody Sabbath, and Sabotage of the original line-up. A reunion and a burying of the hatchet seemed inevitable. Thus the journey to 13 and the redemption of Black Sabbath began. The making of 13 has been a long and arduous process. After a series of successful reunion tours in the late ‘90s, the band convened in the studio with producing mastermind and Guru Rick Rubin in early 2001. But Ozzy was called away to finish work on another solo record and then became a reality TV star while the rest of the band later reunited once more with Dio under the name Heaven & Hell until Ronnie’s death in 2010. The original members reformed yet again in late 2011 to announce a string of live dates and that they would also be returning to the studio again with Rubin for a new album. By this time Rubin had returned another Metal titan to prominence in Metallica with their 2008 thrash masterpiece Death Magnetic, he was clearly the right man to helm 13. Setbacks continued though when Iommi was diagnosed with lymphoma in early 2012 and Bill Ward quit the band shortly after due to a contract dispute. Ozzy, Iommi, and Butler decided to continue on without Ward and hired Rage Against the Machine/Audioslave drummer Brad Wilk to lay down the drum tracks for the 13 sessions. Within the first second of opener “End of the Beginning” it’s clear that 13 is an unapologetic and unforgiving all-out blitzkrieg. A mythical beast that’s been slumbering for decades, Iommi blasts through the Earth’s mantle with a titanic riff releasing all of the demons of the underworld behind it. The beast has awoken, staggered and confused at first, but in a new even more harsh world it soon realizes it shall thrive once more and the hunger creeps back into its gut. Where most bands would get bogged down in the primordial sludge of this pace, Black Sabbath flourish with it and relish it. The militant lurch sounds like billowing storm clouds gathering on the edge of town in a foreboding spectacle. A tempo change shifts perspective as if from the same clouds comes the fiery gallop of the Four Horsemen of the Apocalypse before giving way to Iommi’s unbridled sinewy solos and more gargantuan riffing. “God Is Dead?” is a nine-minute juggernaut (Or even a Supernaut maybe?) that crashes through the cathedral gates of a Satanic church. Momentum turns chaotic as Butler runs roughshod on bass and Wilk’s drums sound as if they’re bombs pummeling the earth’s surface. Butler and Wilk collide like tectonic plates creating an ominous rumble, Iommi’s high tension wire riff serves as an air-raid siren before a pit opens below unable to sustain the sheer force anymore and Ozzy confirms to the congregation of the damned that yes in fact, “God is Dead.” “Loner” follows a similar riff and groove to that of “N.I.B.” It’s a subject Sabbath relates to well, the social outcast, seemingly ostracized from society and humanity forced to walk the vastness of a scorched landscape alone. Ozzy sings of the vagrant trudging over a barren terrain with a boulder of corroded conscience and guilt on his back as he laments, “The secrets of his past life deep inside his head. I wonder if he will be happy when he’s dead.” Tumbling deeper down the rabbit hole of madness is “Zeitgeist,” a sonic companion to that of “Planet Caravan” from Paranoid. Psychedelic and hypnotic but far less menacing at least on the surface, Ozzy provides an uneasy serenade and Iommi showcases his range with a more docile, nearly tender acoustic guitar playing with gentle washes of electric guitar to create the murky space ballad. The bludgeoning hammer immediately comes a-crushin’ though afterwards with “Age Of Reason” with Iommi arguably at his finest. A monolithic riff, as burly and brawny as anything Sabbath’s ever produced shows that there is no finite number to the amount of incredible heavy riffs that Iommi can conjure, a true maestro further cementing the legacy of a man that molded the sound of an entire genre. Ozzy too sounds reinvigorated, as is the case throughout the entire record. He’s born anew as if he’s in the middle of his ‘70s prime, howling like the prince of darkness millions have come to worship as he sings, “These times are heavy and you’re all alone. The battle’s over but the war goes on.” From there, Iommi launches into an unruly solo with wild abandon, a dazzling lightning strike display that doubles as a ferocious tempest laying waste to everything in its wake. “Live Forever” seems to want you to do anything but that. Run for your life through the twisted wreckage of a city that the beast has crippled as a barrage of flaming debris reigns down around you. “Damaged Soul” plays right into Sabbath’s open palm/claw, teetering between right and wrong, heaven and hell as Ozzy sings, “God of the almighty never answers their call. Satan is just waiting for the righteous to fall to him.” Iommi piles on more guitar wizardry with a lengthy six-string workout as Ozzy honks on harmonica. The behemoth closer “Dear Father” features the incomparable electric avalanche of Iommi, one final witching hour rampage as the sins of the father are met with a fierce reckoning, “Your molestations of the cross you defiled, a man once holy now despised and reviled. You took possession while confessing my sins and now you have to face whatever death brings.” The beast finally lumbers out of sight, back into the abyss from which it came leaving a trail of carnage in its path. The only sound left, that familiar lonesome tolling bell in the distance in the pouring rain. It’s as if everything between that same bell in 1970 and now has been happenstance, inescapable. 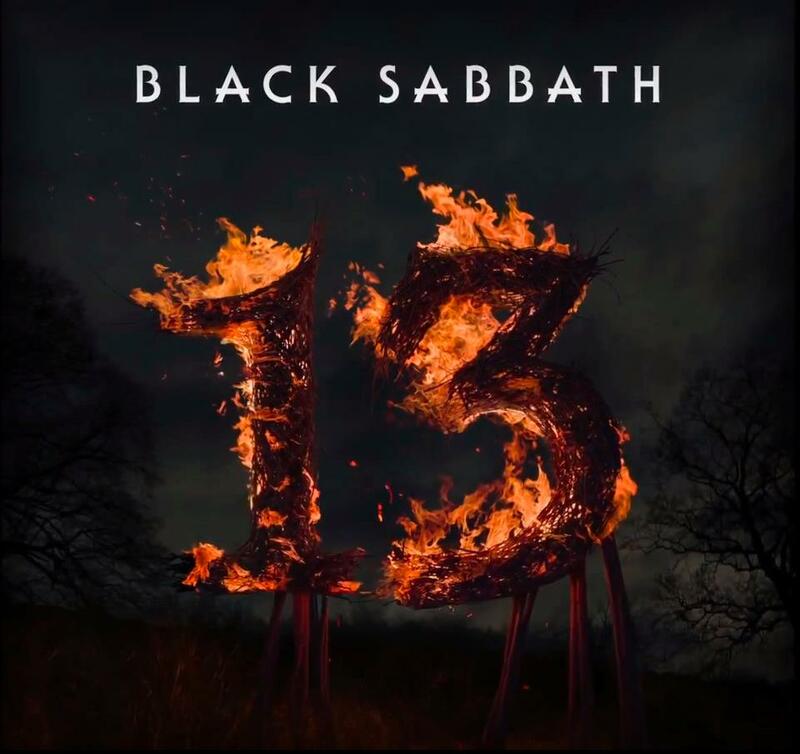 For Black Sabbath, 13 has proven to be better than anyone could’ve imagined, it really had no business being this great. But everyone that worked on this project knew what was at stake. Archetypes of timeless music, culled from the same molten lava from which Heavy Metal was born. Nearly 45 years ago this band was the genesis of something that they could not have possibly comprehended would become this massive. Without a doubt, a true masterpiece that can stand alongside the best works in their canon. It’s hard to say if they’ll make another record after this, but if this is the grand finale in this macabre career, what a way to bow out.